Word starts and ends with the same letter. 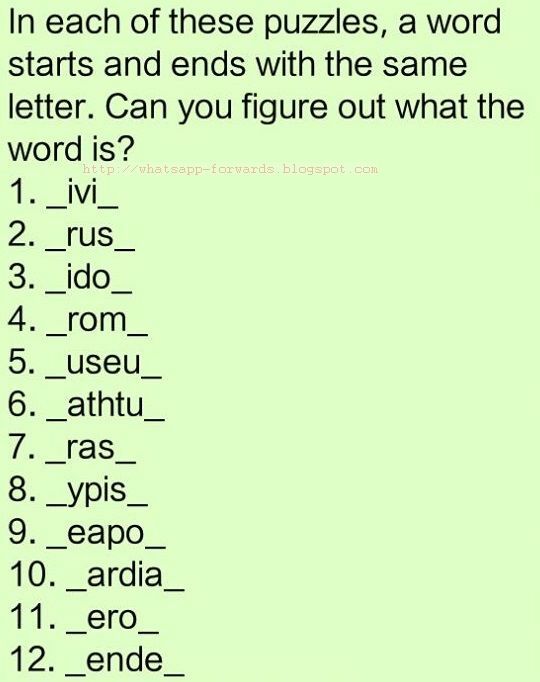 In Each of this puzzles, a word starts and ends with the same letter. Can you figure out what the word is?